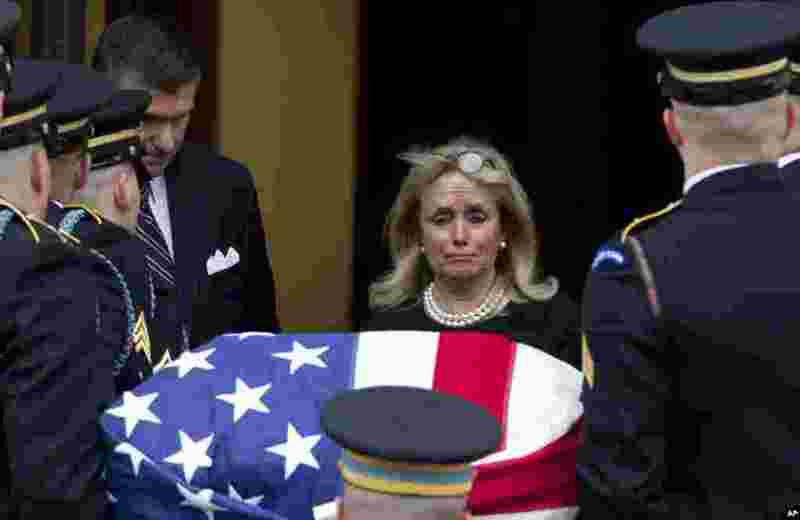 5 Rep. Debbie Dingell, D-Mich., watches the flag-draped casket of her late husband, former Rep. John Dingell, upon arrival at the Holy Trinity Catholic Church for a funeral service, in Washington. Dingell, the longest-serving member of Congress in American history who mastered legislative deal-making and was fiercely protective of Detroit's auto industry, has died at age 92. 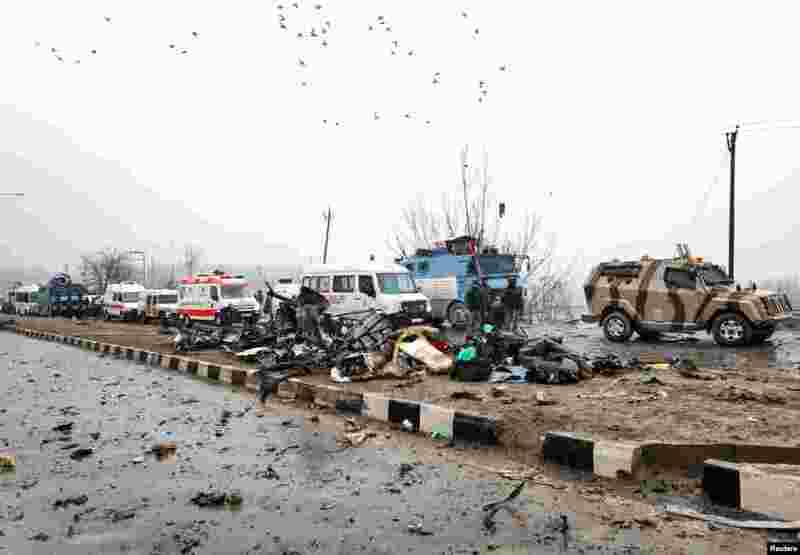 6 Indian soldiers examine the debris after an explosion in Lethpora in south Kashmir's Pulwama district. 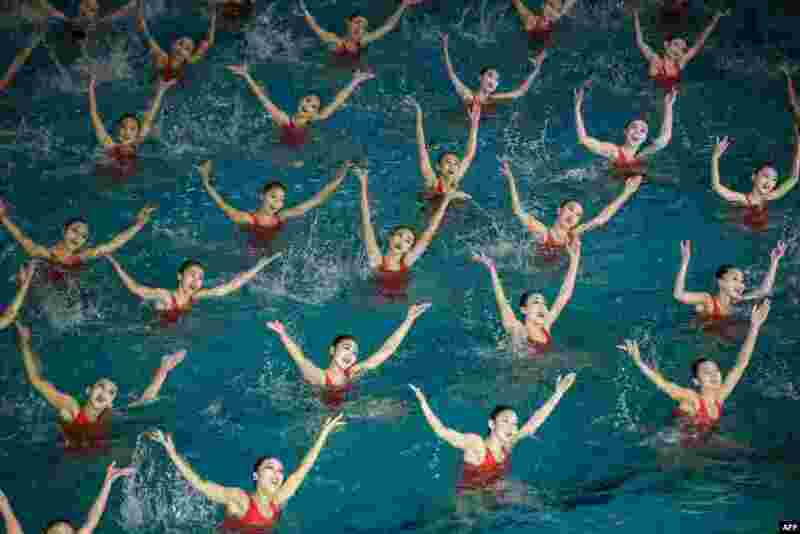 7 Swimmers perform in a synchronized swimming gala event celebrating late North Korean leader Kim Jong Il, in Pyongyang. 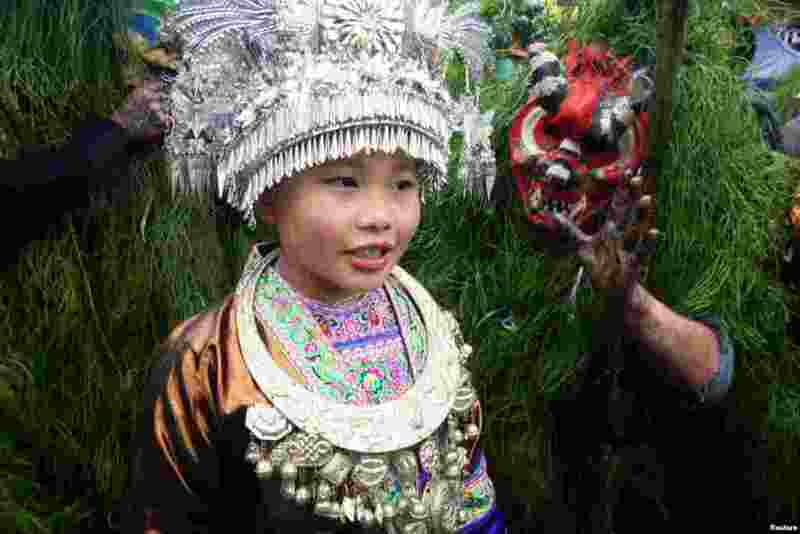 8 An ethnic Miao woman poses with Miao men dressed as "Manghao" during an event to celebrate the Manghao Festival at Rongshui Miao Autonomous County, in Liuzhou, Guangxi Zhuang Autonomous Region, China, Feb. 13, 2019.